Netwar is just 12 kilometres away from Mori and approximately 69 kilometres from Chakrata. 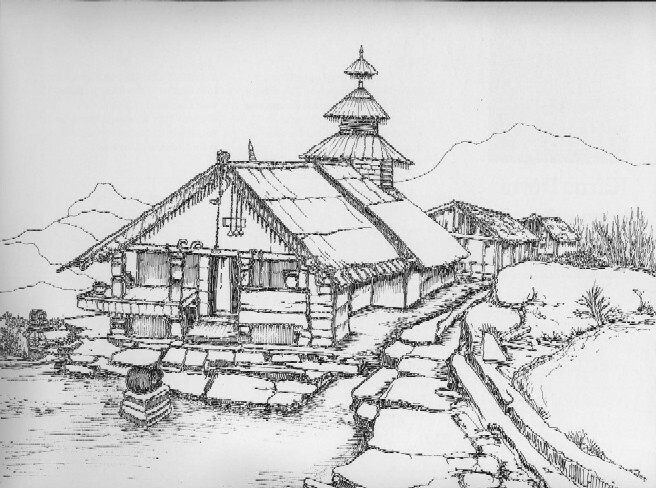 A brisk walk would take you to the river bed of Tons where this temple is situated. Pokhu Devta Mandir, Karna Mandir, Sarnaul and Duryodhan Mandir, Saur. 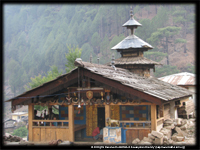 (All three temples are in the same region) Deodar, Chir and Pine surround the Netwar village where these three temples are located, all within a range of 14 kms. 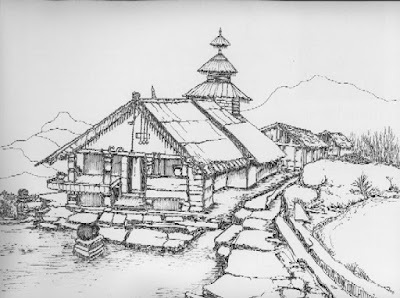 Netwarcan be reached from Chakrata via Tiuni, which is on the Chakrata-Simla Road. To reach the village from Tiuni, one has to go to Har-ki-doon Valley via Mori. Here a narrow'pakdandi' (goat's track) leads one to the confluence of the rivers Rupen and Supen (which later form the Tatnas or Tons) where one crosses a light iron bridge. It is a risky track,21/2 kms long-stony, mossy and damp-that finally leads to the Pokhu Devta Temple. What a refreshing sight at last! A little courtyard beckons one past the few hutments surrounding the temple area, the morning glory and golden pumpkin flowers blossom in peace, under a benign sun.